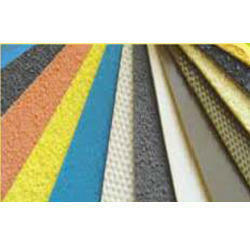 Our range of products include roller covering, sand emery paper and emery roller covering. 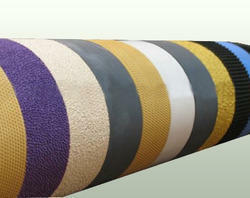 With a firm commitment to quality, we are engaged in offering an excellent quality Roller Covering. Provided in different shapes like round, square, emery & plain, we check our emery fillets on various quality parameters to deliver a flawless range at our end. We manufactured these emery fillets from high grade material in our high-tech manufacturing unit in accordance with quality standards. Owing of our extremely talented team of professionals, we are engaged in offering a wide range of Sand Emery. 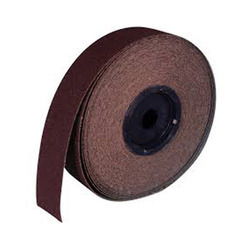 This is a type of coated abrasive that has emery glued to a cloth, the offered sand emery is manufactured using high grade material and advance machines at our end. We are offering this sand emery on different specifications to choose from. From the very first day of our establishment, we are engaged in manufacturing, supplying, trading and distributing a wide array of Emery Roller Covering. These products are widely used in chemical, petrochemical, food & beverage and engineering industries. Furthermore, our wide distribution network enables us to deliver all the consignments at clients’ end within the set time frame.